Studio Four were initially approached to carry out a feasibility study to consider how the building could better help them fulfil their mission to the local community. This study subsequently developed into a full scheme. The church occupies a prominent corner site in the town centre with a traditional main church and a variety of halls to the rear. The buildings suffer from cramped circulation, a lack of accessible WC’s and first floor accommodation that contravened fire regulations. 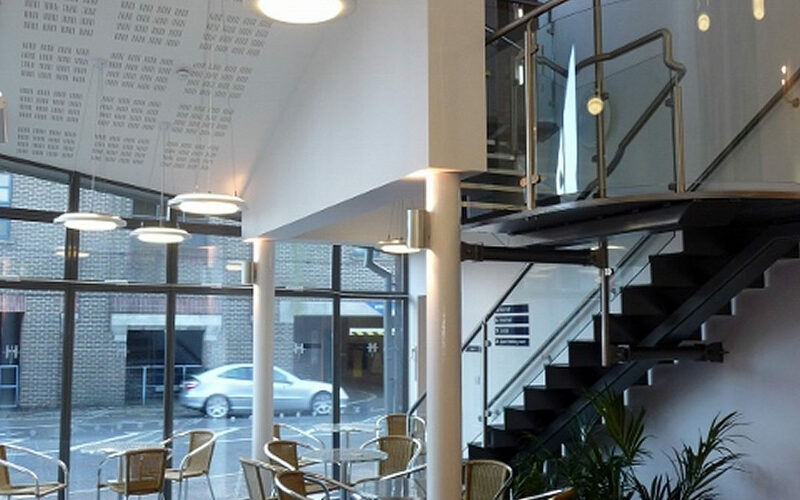 As part of the feasibility study, options were prepared to rationalise existing circulation and create a foyer space that could be used for weekday coffee mornings that form an important part of the weekday church life. Due to the tight site area, careful planning was required for the construction stage of the project, including negotiation with the local highways department. Studio Four were approached by the RNLI to assist with the relocation of Margate lifeboat station. The RNLI approached Studio Four to design a new lifeboat station for ‘sailing capital’ Cowes on the Isle of Wight.